The Temptations & The Four Tops, Michael Feinstein, Lyle Lovett, Béla Fleck, and more! We've set the stage for an inspiring summer of music. Symphony. Opera. Chamber. Jazz. R&B. Bluegrass. Learn more. This is Brevard. Be inspired. Be here. Scholarships available. 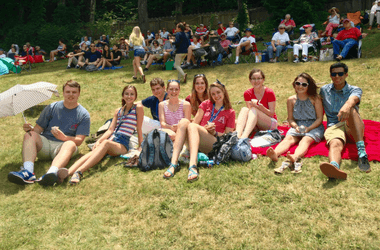 Apply now for Summer 2019! 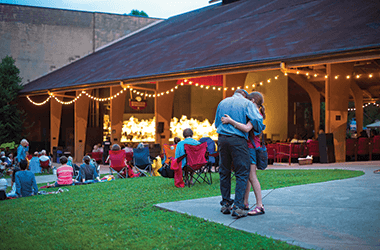 Brevard Music Center Summer Institute and Festival, led by Artistic Director Keith Lockhart, stands as one of this country's premier summer training programs and music festivals. 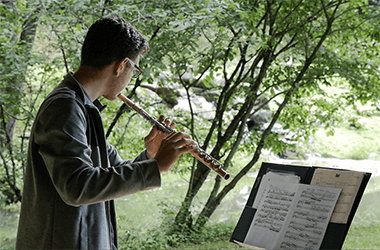 For twelve weeks each summer, the next generation of musicians from across the globe gather in the beautiful Blue Ridge Mountains of North Carolina to perform alongside a distinguished faculty from major symphonies, universities, and conservatories. 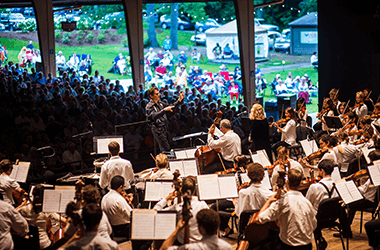 They are joined by some of the most celebrated names in music – from classical superstars to pops legends to acclaimed composers – for more than 80 unforgettable performances under the stars. 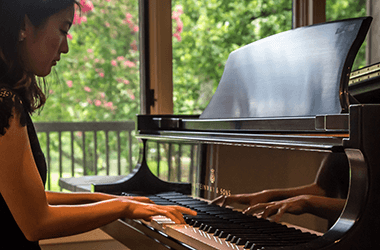 Throughout its history, thousands of individuals have contributed to the Music Center's success through their generous charitable support of our non-profit's mission to teach gifted young musicians to prepare and perform great musical works at a high artistic level.